Part two of my morning excursion to Victoria Park! 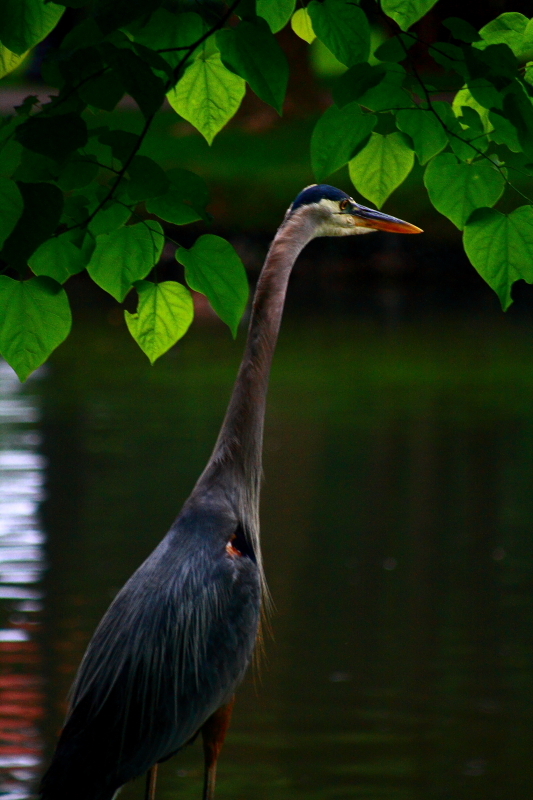 As I was walking through the park I spotted a Great Blue Heron cautiously stalking by the lake in the shallow, murky green waters by the island shore. 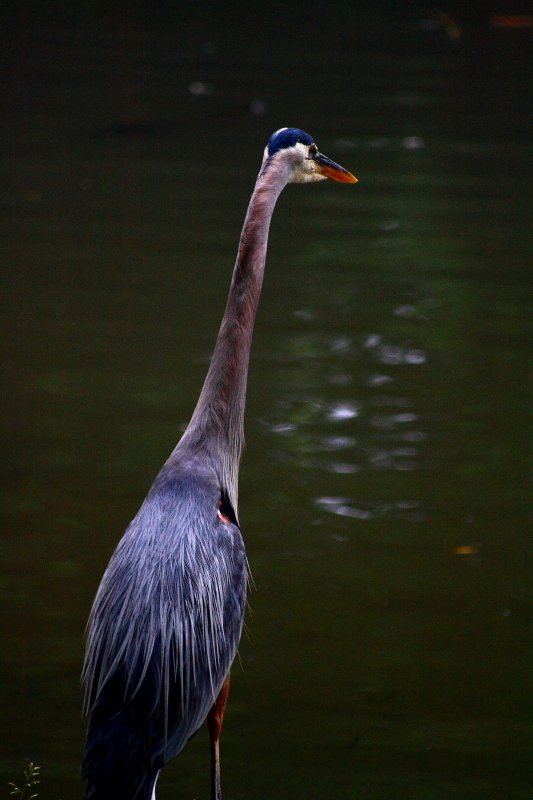 As I moved closer, the bird seemed somewhat anxious of my approach. I backed off and simply watched for a while. 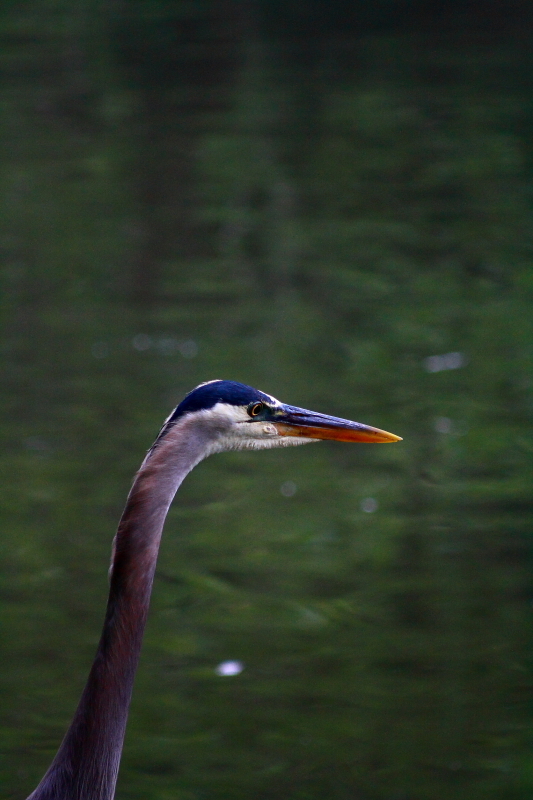 After some time the heron seemed less concerned with my presence and I was able to get a little bit closer for a few photos. The large bird stayed quite still, and so did I, moving only a little as I took the photos below. After a few shots I put down the camera and took a few moments to simply admire this beautiful creature. Canon EF 80-200mm, 5.6, ISO 1600 (the light was pretty low still). I didn’t do much processing aside from tweaking the contrast and some noise reduction. Thanks Amber! I was really happy with that shot as well, especially the colour. 🙂 I had hoped the first one would turn out sharper as I like the leaves, but alas. What a treat! 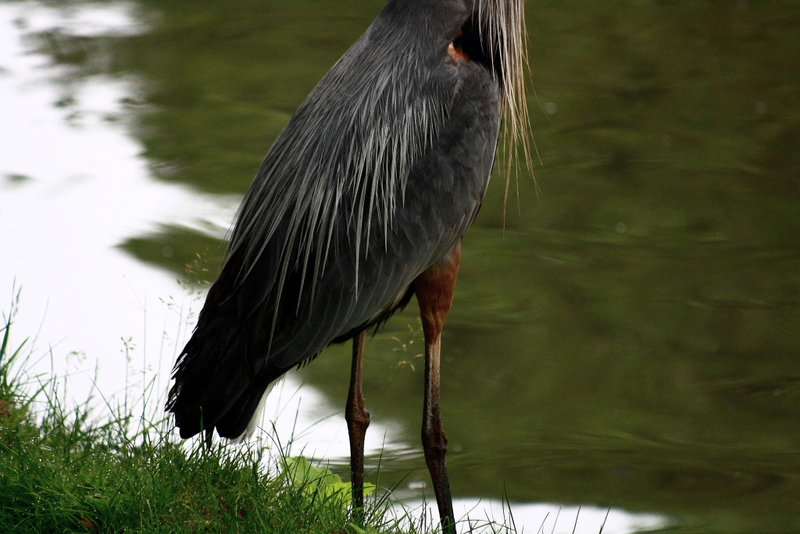 I love herons. 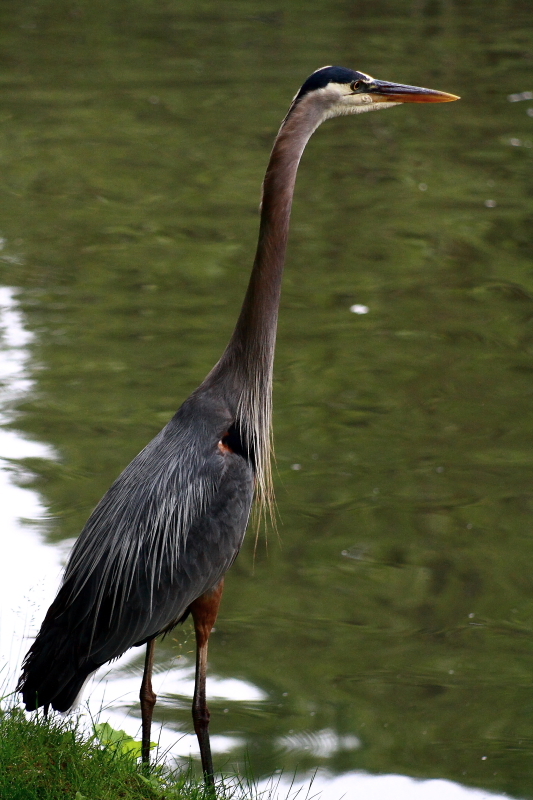 In fact, the cabin we stayed in last week was named the Heron, but we didn’t actually SEE a heron. lol. My fav is the last one. Great color and clarity!